At Eucharistic Adoration a monstrance containing a consecrated host is placed on the altar. The host is visible through a glass window in the center of the monstrance (as seen above). What do you do at Adoration? Adorers spend time with our Lord Jesus as He is present in the exposed Eucharist. It is a quiet, contemplative time, a time to grow spiritually and develop a closer relationship with our Lord. You may pray, read, or write in a prayer journal during this time. 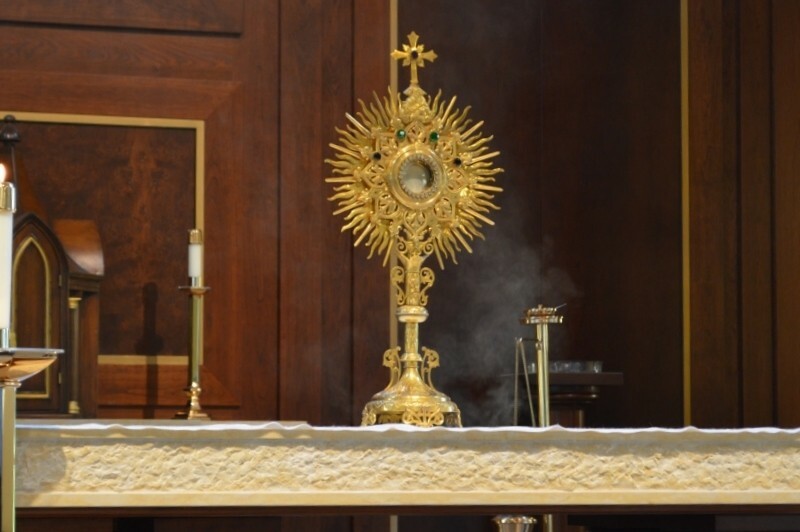 Adoration is held in the church on the First Friday of each month following the 9 am Mass and lasting until 7 pm. Adorers sign up for one-hour slots; more adorers are always welcome, and you are welcome to spend as much or as little time as you are inspired to. Our Tuesday evening Adorations are from 4-8:00 PM. 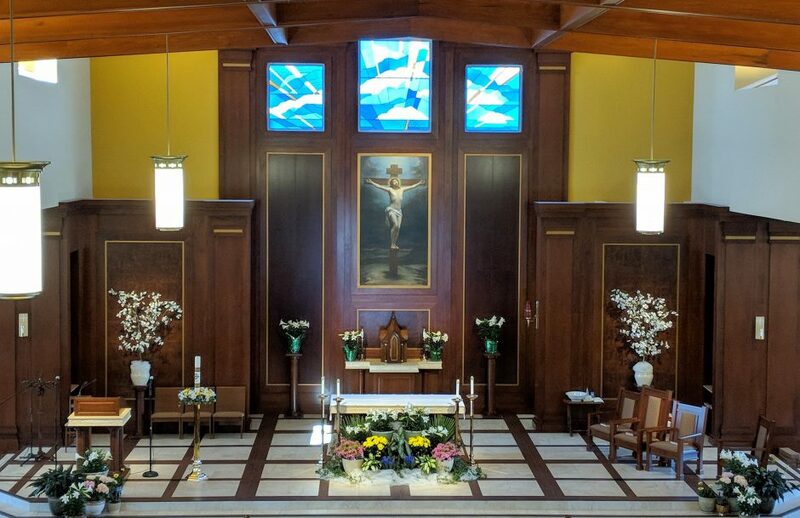 Come experience the peace and beauty of this time before Our Lord in the Blessed Sacrament. You are welcome to stay for as long as you are able. 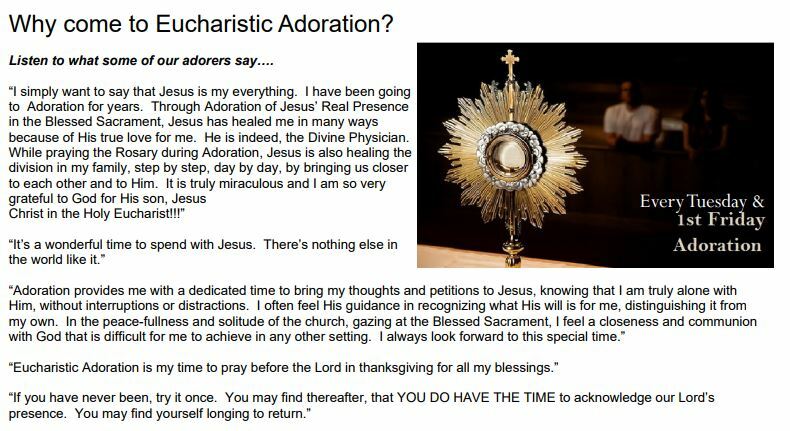 For more information on Adoration, please contact Barbara Simpson at (240) 409-1356. A Holy Hour in front of the Blessed Sacrament is worth more than a thousand years of human glory.